December is the busiest month of the year for me! Lots of things happen during this month, my birthday, which I celebrate for a whole week, my daughter’s birthday, Christmas shows, Christmas shopping, Christmas dinner with friends, uff!! I hardly have time to rest. But every year I like to take time to cook a few recipes for my homemade Christmas presents, last year I made some Mexican candy and Mexican chocolate cookies and they were a hit, this year I am making some Coricos, Mexican corn dough cookies, which are delicious and so Christmas. This recipe is a very important recipe for me, as it takes me back to my childhood when we used to go to Sinaloa and spend Christmas at my grandma’s house, my mum’s mum. My auntie Esperanza used to make these little cookies that we all loved and eat for days. The recipe is very simple and there are two way to make them, only with maseca (corn flour), which will make your cookies completely gluten free, or with corn and regular white flour, which will help your cookies not to collapse. 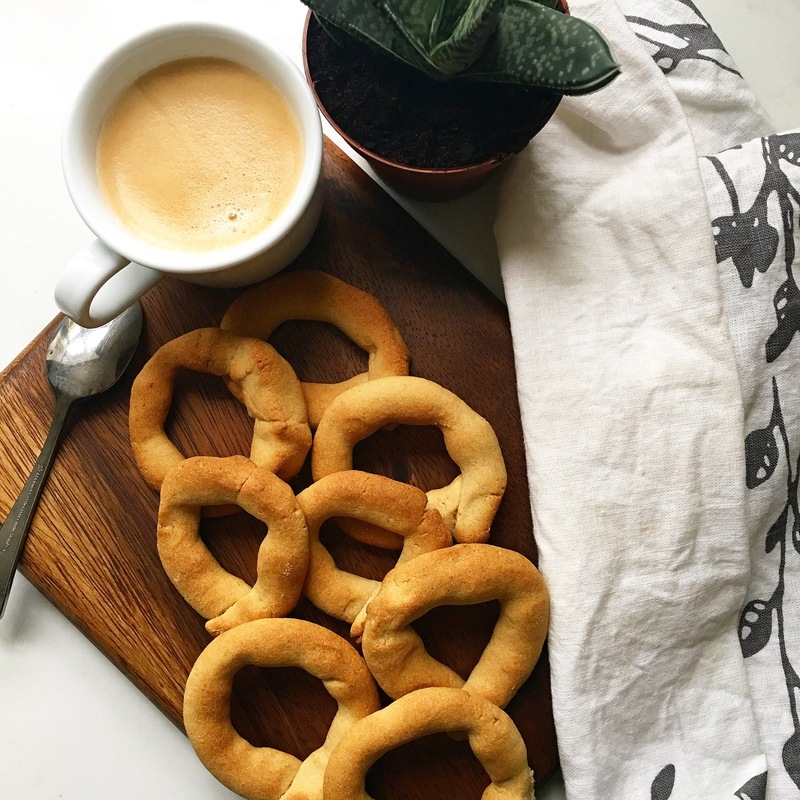 For this recipe I made them totally gluten free, because I wanted to give some to my friend Fabiola, who is allergic to gluten, they were good, the only problem is that they are very delicate and they tend to collapse quite easily. Here is the quick recipe. To make the piloncillo syrup. Break the piloncillo cone into pieces, put it in a saucepan together with the water and cinnamon stick. Or add the sugar instead. Let it simmer until the mixture thickens and leave aside to cool down completely. Once the syrup has cooled down add the vegetable lard and mix it with your hands. The. Add the egg. Then on a large mixing bowl, add the dried ingredients: flour and baking powder and mix them. Then slowly start adding the syrup/vegetable lard mix and mix until everything is integrated. The dough has to be a bit like play dough, it doesn’t have to stick on your hands. Before making the cookies, preheat the oven to 180 degrees and have two baking trays ready with parchment paper. To make the coricos divide the dough into small balls (pic 7), then make long dough strings (pic 8) and make a circle and tide cross them (pic 9). Place them on the baking trays and put them in the oven. Bake them for around 12 to 15 min or until golden brown. Once out of the oven let them cool down on the tray and remove them very carefully with a spatula. Enjoy them with a nice cup of hot coffee, just like they do in Sinaloa. Or wrap them in little nice plastic bags and given them as a Christmas present.